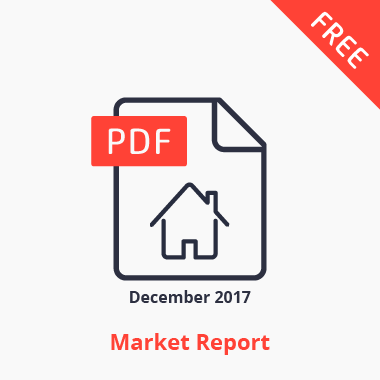 15-page PDF presenting a comprehensive overview of the 2017 Smart Home market. 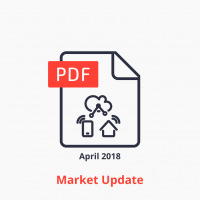 This Smart Home Market Report is based on IoT Analytics’ Smart Home Market database and is intended for the general public. Click below to download this market report for FREE. The data used in this report is based on IoT Analytics’ Smart Home Market Tracker. 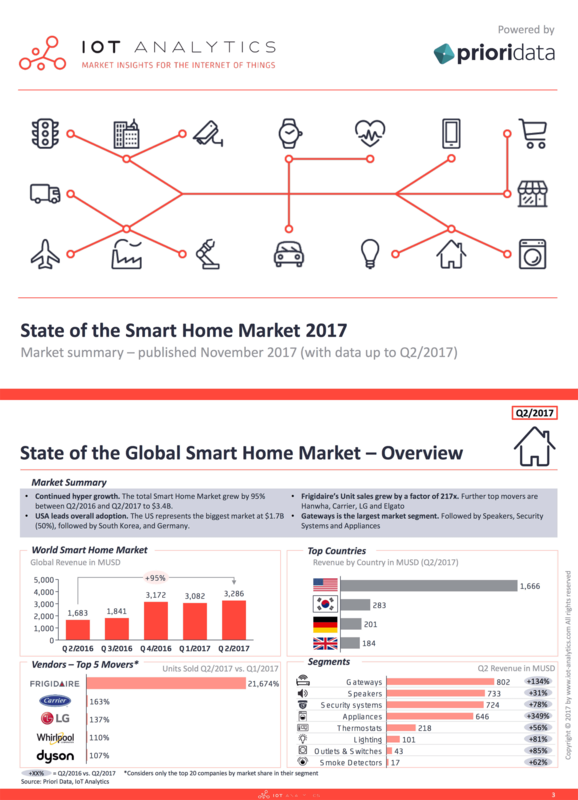 • Nearly 50% of global Smart Home sales in the U.S.
Click below to download this Smart Home market report for FREE.